Wendy Swope has been writing professionally since 2000. Her articles have appeared in newspapers as well as trade publications. Swope wrote "Wild Idaho" for Falcon Press and coauthored a chapter in the textbook "ACCCN's Critical Care Nursing." She is a certified acute-care nurse practitioner. The bottom rump roast is a cut of beef that comes from the back leg muscle of a cow. This cut of meat is lean with little to no marbling and can be a tough piece of meat if not prepared correctly. The bottom rump roast will be most tender and flavorful using a braising method in a stock pot; this is also known as a pot roast. Cooked in this way, the bottom rump roast makes a good main course. Vegetables of your choice can also be added to the pot to complete your meal. 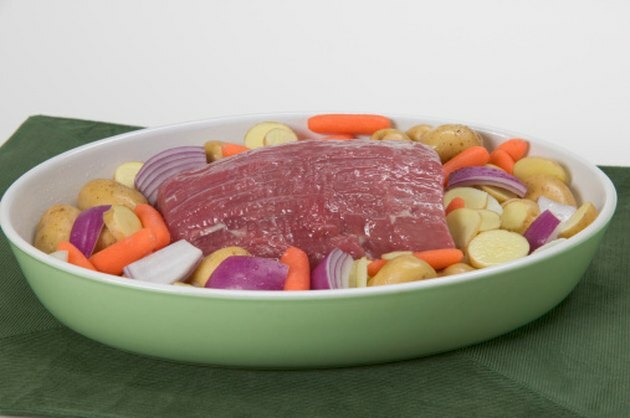 Remove the rump roast from the refrigerator and place it on a plate. Loosely cover with plastic wrap and let stand for one hour. Remove the skin from the onions and cut into quarters. Wash the potatoes and cut the potatoes into quarters. 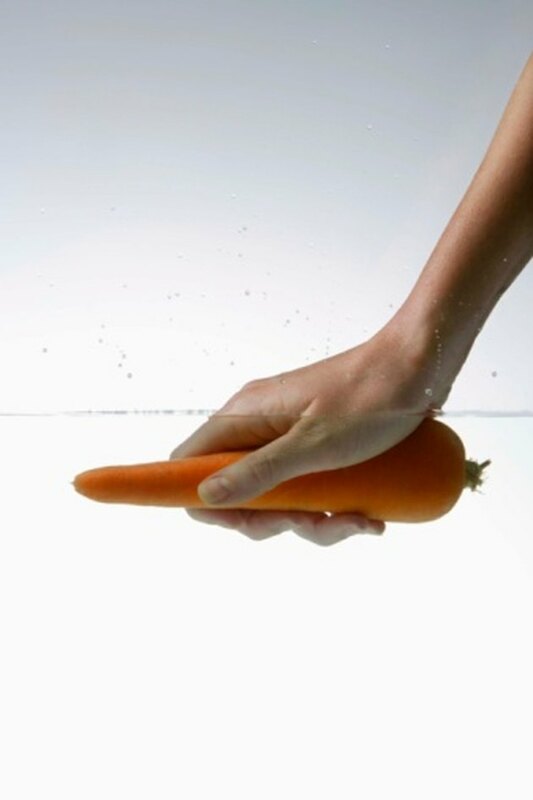 Wash the carrots and leave these whole. Remove the skin from the garlic and finely dice. Put the vegetable oil into the stockpot and place on the stove top on the medium setting. Once the oil has heated, place the roast in the pot. Sear the meat on all sides and remove the roast and set aside on a clean plate. Place the garlic in the pot and cook for one minute, stirring occasionally. Add the water to the stockpot as well as the roast. Add the vegetables, salt and pepper to the stockpot. Turn the stove top to medium-high and bring the water to a boil. When the water is boiling, reduce the heat to low or simmer and place the lid on the pot. Allow to cook for 2.5 hours or until the vegetables are cooked through.